The Web Design Usability Series is supported by join.me, an easy way to instantly share your screen with anyone. join.me lets you collaborate on-the-fly, put your heads together super-fast and even just show off. Writing content for web users has its challenges. Chief among them is the ease with which your content is read and understood by your visitors (i.e. its readability). When your content is highly readable, your audience is able to quickly digest the information you share with them — a worthy goal to have for your website, whether you run a blog, an e-store or your company’s domain. Below are a handful of dead-simple tips and techniques for enhancing the usability and readability of your website’s content. These tips are based on research findings and suggestions by well-regarded usability experts such as Jakob Nielsen. This list is not exhaustive, and is meant merely to arm you with a few ideas that you can implement right away. If you have additional tips to add, please share them in the comments. Usable, readable web content is a marriage of efforts between web designers and web content writers. Web pages must be designed to facilitate the ease of reading content through the effective use of colors, typography, spacing, etc. In turn, the content writer must be aware of writing strategies that enable readers to quickly identify, read and internalize information. Text and typography have to be easy and pleasant to read (i.e. they must legible). Content should be easy to understand. Content should be skimmable because web users don’t read a lot. Studies show that in a best-case scenario, we only read 28% of the text on a web page. What simple things can we do to achieve these goals? Read on to see. It’s pretty well known that web users have very short attention spans and that we don’t read articles thoroughly and in their entirety. A study investigating the changes in our reading habits behaviors in the digital age concluded that we tend to skim webpages to find the information we want. We search for keywords, read in a non-linear fashion (i.e. we skip around a webpage instead of reading it from top to bottom) and have lowered attention spans. This idea that we’re frugal when it comes to reading stuff on the web is reinforced by a usability study conducted by Jakob Nielsen. The study claims a that a 58% increase in usability can be achieved simply by cutting roughly half the words on the webpages being studied. Shorter articles enhance readability, so much so that many popular readability measurement formulas use the length of sentences and words as factors that influence ease of reading and comprehension. Get to the point as quickly as possible. Use easy-to-understand, shorter, common words and phrases. Avoid long paragraphs and sentences. Use time-saving and attention-grabbing writing techniques, such using numbers instead of spelling them out. Use “1,000″ as opposed to “one thousand,” which facilitates scanning and skimming. Test your writing style using readability formulas that gauge how easy it is to get through your prose. 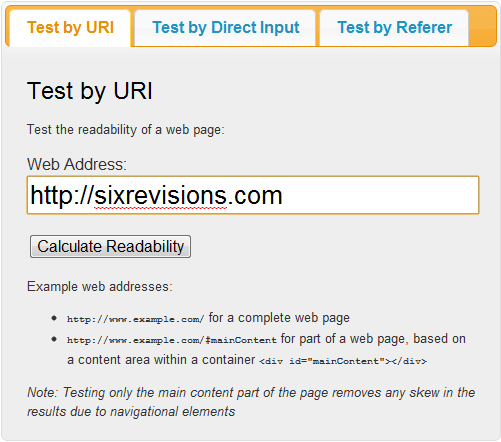 The Readability Test Tool allows you to plug in a URL, then gives you scores based on popular readability formulas such as the Flesch Kincaid Reading Ease. 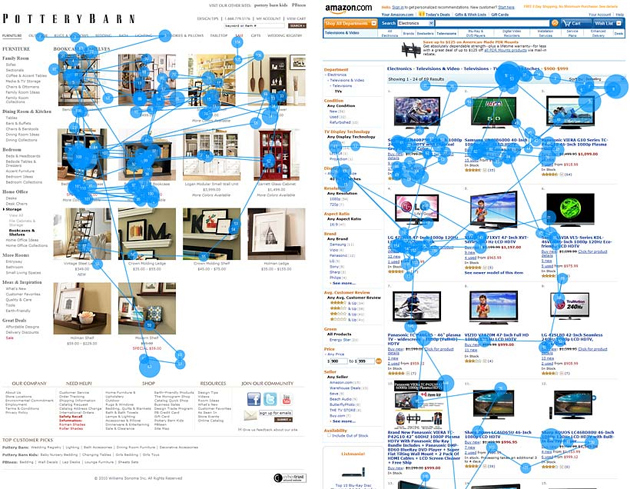 An eye-tracking study conducted by Nielsen revealed an eye-movement pattern that could further support this idea that web users do indeed read in chunks: We swipe our eyes from left to right, then continue on down the page in an F-shaped pattern, skipping a lot of text in between. 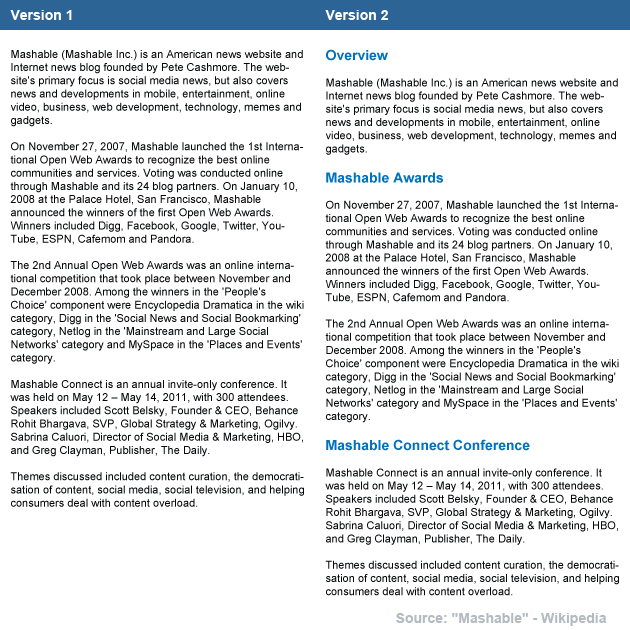 Below, you’ll see the same set of text formatted without headings (version 1) and with headings (version 2). See which one helps readers quickly skip to the sections that interest them the most. Use keyword-rich headings to aid skimming, as well as those that use their browser’s search feature (Ctrl + F on Windows, Command + F on Mac). 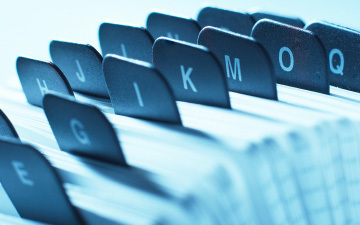 As indicated in the usability study by Nielsen referenced earlier, as well as the other supporting evidence that web users tend to skim content, designing and structuring your webpages with skimming in mind can improve usability (as much as 47% according to the research mentioned above). Make the first two words count, because users tend to read the first few words of headings, titles and links when they’re scanning a webpage. Front-load keywords in webpage titles, headings and links by using the passive voice as an effective writing device. 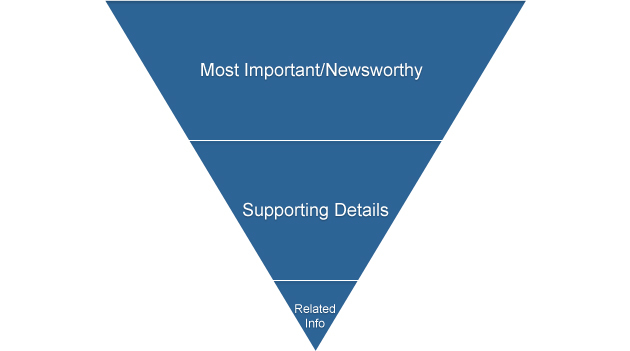 Use the inverted pyramid writing style to place important information at the top of your articles. According to an eye-tracking study by ClickTale, users fixate longer on bulleted lists and text formatting (such as bolding and italics). These text-styling tools can garner attention because of their distinctive appearance as well as help speed up reading by way of breaking down information into discrete parts and highlighting important keywords and phrases. Consider breaking up a paragraph into bulleted points. Highlight important information in bold and italics. The spacing between characters, words, lines and paragraphs is important. How type is set on your webpages can drastically affect the legibility (and thus, reading speeds) of readers. 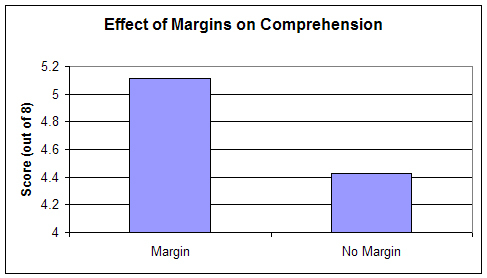 In a study called “Reading Online Text: A Comparison of Four White Space Layouts,” the researchers discovered that manipulating the amount of margins of a passage affected reading comprehension and speed. Evaluate your webpages’ typography for spacing issues and then modify your site’s CSS as needed. 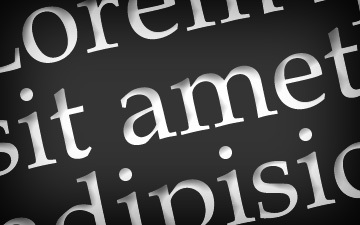 Get to know CSS properties that affect spacing in your text. The ones that will give you the most bang for your buck are margin, padding, line-height, word-spacing, letter-spacing and text-indent. One big advantage of web-based content is our ability to use hyperlinks. The proper use of hyperlinks can aid readability. Indicate which links have already been visited by the user by styling the :visited CSS selector differently from normal links, as suggested by Nielsen, so that readers quickly learn which links they’ve already tried. Use the title attribute to give hyperlinks additional context and let users know what to expect once they click the link. 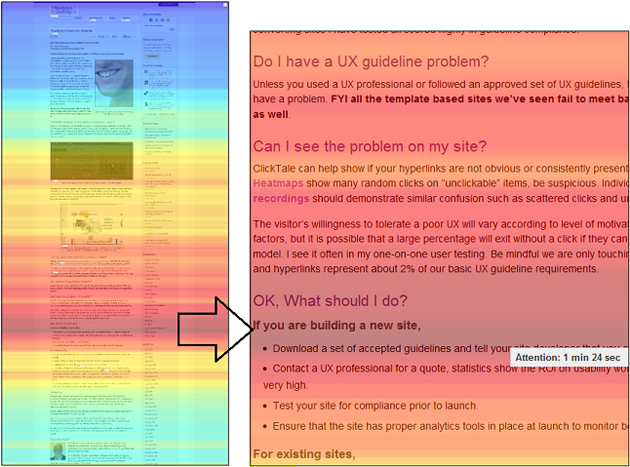 For additional tips, read >Visualizing Links: 7 Design Guidelines. Photos, charts and graphs are worth a thousand words. Using visuals effectively can enhance readability when they replace or reinforce long blocks of textual content. Users, however, also ignore certain images, particularly stock photos merely included as decorative artwork. Another eye-tracking study reported a 34% increase in memory retention when unnecessary images were removed in conjunction with other content revisions. Make sure images you use aid or support textual content. Avoid stock photos and meaningless visuals. The Web Design Usability Series is supported by join.me, an easy way to instantly share your screen with anyone. join.me lets you collaborate on-the-fly, put your heads together super-fast and even just show off. The possibilities are endless. How will you use join.me? Try it today. 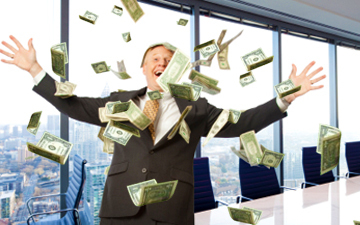 One out of every 25 business leaders could be psychopathic, a study claims. The study, conducted by the New York psychologist Paul Babiak, suggests that they disguise the condition by hiding behind their high status, playing up their charm and by manipulating others. Favourable environmental factors such as a happy childhood mean they can function in a workplace rather than channelling their energies in more violent or destructive ways. Revealing the results in a BBC Horizon documentary, Babiak said: "Psychopaths really aren't the kind of person you think they are. "In fact, you could be living with or married to one for 20 years or more and not know that person is a psychopath. "We have identified individuals that might be labelled 'the successful psychopath'. "Part of the problem is that the very things we're looking for in our leaders, the psychopath can easily mimic. "Their natural tendency is to be charming. Take that charm and couch it in the right business language and it sounds like charismatic leadership." Babiak designed a 111-point questionnaire with Professor Bob Hare, of the University of British Columbia in Canada, a renowned expert in psychopathy. Hare believes about 1% of Americans can be described as psychopaths. The survey suggests psychopaths are actually poor managerial performers but are adept at climbing the corporate ladder because they can cover up their weaknesses by subtly charming superiors and subordinates. This makes it almost impossible to distinguish between a genuinely talented team leader and a psychopath, Babiak said. Hare told Horizon: "The higher the psychopathy, the better they looked – lots of charisma and they talk a good line. "But if you look at their actual performance and ratings as a team player and productively, it's dismal. Looked good, performed badly. "You have to think of psychopaths as having at their disposal a very large repertoire of behaviours. So they can use charm, manipulation, intimidation, whatever is required. "A psychopath can actually put themselves in your skin, intellectually not emotionally. "They can tell what you're thinking, they can look at your body language, they can listen to what you're saying, but what they don't really do is feel what you feel. "What this allows them to do is use words to manipulate and con and to interact with you without the baggage of feeling your pain." "The $300 Million Button," Jared Spool's 2009 article on usability and ecommerce design, is remarkable in that it a) articulates something that anyone who shops widely online already knows; b) is advice that would make a lot of money for sites if they adopted it; c) has been part of the literature for at least two and a half years; d) is roundly ignored. Spool is recounting the story of an unnamed large ecommerce retailer who had one of those forms that made you register before you could buy anything, and to remember your login and password before you could shop there again. Removing this form, and allowing the option of saving your details with a login and password at the end of the transaction, increased the retailer's sales by $300,000,000 in the first year. From a commerce perspective, the Internet's glory is reduced search costs for customers. When I was making my office coffee table, I decided I wanted to source some brightly colored anodized aluminum bolts, nuts and washers. I'd never bought these before, but I assumed they existed, and I was right -- a couple searches showed me that they existed and were sold to motorcycle modders. I found a site that supplied them, and ordered sixteen of each, plus some spares. It was the first time in 39-some years I'd needed brightly colored bolts, and it may very well be that long again before I need any more. So while this specialist bolt retailer is visible to motorcyle hobbyists and can compete for their repeat business with other specialists, they're also tapping into a market to whom they were entirely invisible until the net came along. Periodically, someone like me is going to drop in and spend some money on a one-off basis, and make windfall cash for them. There are a lot of people who, at some time in their lives, want to buy some specialized component or good. Before the Internet came along, we'd likely have just got the non-specialized equivalent. But because of the Internet, businesses all over the world are getting sales from the unlikeliest of corners. And what's more, some of those one-time only customers might discover that they actually really enjoy whatever the specialist thing is, and come back for more. It's win-win. But the fastest way to alienate those customers and scare away that free money is to make its owner establish a relationship with you before s/he can make a purchase. In the case of the company that sold me my bolts, I was required to create a login and password, and I still get a fortnightly newsletter full of information I don't care to know about bolts (I checked all the opt-out bits, but either I missed one or they just don't pay attention to it). Spool's research showed that a substantial portion of ecommerce users are even more sick of this stuff than I am -- $300 million/year's worth, in fact. And what's more, of the repeat customers who might have benefited from the faster checkout afforded by creating an account, 45 percent had multiple accounts in the system because they'd forgotten their logins, lost access to the email accounts they'd used, and signed up again with a new address. We’ve spent the past year wondering whether we’re currently in a tech bubble akin to the last decade’s dotcom boom. Mashable has offered facts and opinions on both sides of the question. We’ve heard that the current boom is much different from the heyday of the late 1990s and that we have cause for confidence. But we’ve also heard (from the likes of legendary investor Warren Buffet, no less) that the newest crop of tech darlings are highly overvalued at worst and unpredictable at best. Now here are a few straightforward graphs and charts (created by KISSmetrics and FeeFighters) to help you get some better perspective on the issue. Clearly, the dotcom era was a different beast. But looking back on that insanity should help temper our excitement about new technologies with realistic revenue expectations. Click image to see full-size version. Have American Businesses Been Stranded By the MBAs? theodp writes "In his new book, Car Guys vs. Bean Counters: The Battle for the Soul of American Business, legendary car-guy Bob Lutz says to get the U.S. economy growing again, we need to fire the MBAs and let engineers run the show. The auto industry, writes TIME's Rana Foroohar, is actually a terrific proxy for a trend toward short-term, myopically balance-sheet-driven management that has infected American business. In the first half of the 20th century, industrial giants like Ford, GE, AT&T and others used new technologies to create the best possible products and services with the idea that if you build it better, the customers will come. But by the late '70s, if-you-can-measure-it-you-can-manage-it MBAs were flourishing, and engineers were relegated to the geek back rooms. 'Shoemakers should be run by shoe guys,' argues Lutz, 'and software firms by software guys.' Learning that China plans to open 40 new graduate schools of business in the next few years, Lutz quipped, 'That's the best news I've heard in years.'" When Atlantis launched on Friday morning, it was the last of NASA’s space shuttle flights. The event marks the end of a 30-year program that has put 777 people in orbit. But it is not the end of space exploration in the United States. Companies have been engaging in a private sector space race alongside and in partnership with NASA for quite some time. In April, NASA awarded four of these companies $269 million to develop spacecraft, and companies in the private sector have also established expertise in other aspects of space travel, like space suits and climate control. Some are even famously selling tickets for consumer space flights. Here are what some of them are working on. What it does: Builds reusable rocket-powered vehicles. Claim to fame: An exclusive agreement with Space Adventures, a consumer space travel company. "Eventually, we wish to provide a platform for civilian flights to suborbital space, and ultimately, we plan to reach orbit," reads the site's FAQ. What it does: Designs and builds reusable space vehicles. Unlike most other commercial space companies, Masten specializes in unmanned, suborbital flights. What it does: makes space suits for commercial and government space travels. Most interesting project: Orbital Outfitters partnered with a company called SpaceDiver on a project that will demonstrate the capability to dive from a space shuttle and return to Earth safely. What it does: About 3,700 employees help make space launch vehicles, missile defense systems and satellites as well as offer space technical services at this more than 29-year-old company. It's like a department store for space. Claim to Fame: In 2002, the company signed its largest contract ever: $900 million to develop, build, test and support missile interceptor booster vehicles for the Boeing Company. What it does: Makes environmental controls for extreme and hazardous environments, like space. Claims to fame: Paragon is responsible for the first full-motion, long-duration video (4 months, 60 total minutes) of plant and animal growth on orbit, the first multigenerational animal experiment in space and the first commercial experiment on the International Space Station. What it does: Sells tickets for consumer space trips. The company has already sold about 430 tickets. What it does: Flight vehicles, piston pumps and rocket engines. And of course, consumer sub-orbital space travel. Its two rocket-powered vehicles, the X-Racer and EX-Rocket, have safely completed 67 piloted demonstrations. What it does: Space transport. Eventually wants to put a man on Mars. Famous Founder: SpaceX was founded by Elon Musk, the cofounder of PayPal and Tesla Motors. What it does: Develops vehicles and technologies to lower the cost and increase the reliability of human access to space. What Amazon and space have in common: Blue Origin is owned by Amazon-founder Jeff Bezos. What it does: "Expandable space habitat technology." The company creates space stations that have more breathing room than your everyday "aluminum can" International Space Station by using inflatable components. Eventually it hopes to lease space on one of its stations for experiments and research. Two prototypes are already in orbit. Great Expectations: "We anticipate construction of our first space station to begin with a Sundancer launched in early 2014, and that by 2015 the station will be available for client use," says Bigelow's website. Jeff Ente is the director of Who’s Blogging What, a weekly e-newsletter that tracks over 1,100 social media, web marketing and user experience blogs to keep readers informed about key developments in their field and highlight useful but hard to find posts. Mashable readers can subscribe for free here. Algorithms aren’t going away anytime soon now that websites have a better way to directly describe their content to major search engines. Earlier this month, Google, Bing and Yahoo came together to announce support for Schema.org, a semantic markup protocol with its own vocabulary that could provide websites with valuable search exposure. Nothing will change overnight, but Schema.org is important enough to bring the three search giants together. Websites would be wise to study the basics and come up with a plan to give the engines what they want. Simply put, Schema.org hopes to create a uniform method of putting the structure back into the HTML where the spiders can read it. The implications go beyond just knowing if a keyword like “bass” refers to a fish, a musical instrument or a brand of shoes. The real value is that websites can provide supporting data that will be valuable to the end user, and they can do so in a way that most search engines can read and pass along. Schema.org was born out of conflict between competing standards. Resource Description Framework (RDF) is the semantic standard accepted by The World Wide Web Consortium (W3C). The Facebook Open Graph is based on a variant of RDF which was one reason that RDF seemed poised to emerge as the dominant standard. Until this month. Schema.org went with a competing standard called microdata which is part of HTML5. He became known as <span itemprop="nickname">Honest Abe</span> and later served as <span itemprop="jobTitle">President of the United States</span>. Tragically, he was assassinated and died on <span itemprop="deathDate">April 15, 1865</span>. Itemscope delineates the content that is being described. Itemtype classifies the type of “thing” being described, in this case a person. Itemprop provides details about the person, in this case birth date, nickname, job title and date of death. Fast forward to the web economy of 2011 and restaurants can use the same technology to specify item properties such as acceptsReservations, menu, openingHours, priceRange, address and telephone. A user can compare menus from nearby inexpensive Japanese restaurants that accept reservations and are open late. Schema.org’s vocabulary already describes a large number of businesses, from dentists to tattoo parlors to auto parts stores. Structured data in search results is not new. The significance of Schema.org is that it is now going to be available on a mass scale. In other words, semantic markup in HTML pages is going prime time. Google has so far led the way with structured data presentation in the form of “rich snippets,” which certain sites have been using to enhance their search listings with things like ratings, reviews and pricing. Google began the program in May 2009 and added support for microdata in March 2010. A well known example of a customized structured search presentation is Google Recipe View. Do you want to make your own mango ice cream, under 100 calories, in 15 minutes? Recipe View can tell you how. Google, Bing and Yahoo have reassured everyone that they will continue to support the other standards besides microdata, but Schema.org still feels like an imposed solution. Some semantic specialists are asking why the engines are telling websites to adapt to specific standards when perhaps it should be the other way around. Another concern is that since Schema.org can be abused, it will be abused. That translates into some added work and expense as content management systems move to adapt. Schema.org might also tempt search engines to directly answer questions on the results page. This will eliminate the need to actually visit the site that helped to provide the information. Publishing the local weather or currency conversion rate on a travel site won’t drive much traffic because search engines provide those answers directly. Schema.org means that this practice will only expand. Not everyone is overly concerned about this change. “If websites feel ‘robbed’ of traffic because basic information is provided directly in the search results, one has to ask just how valuable those websites were to begin with,” notes Aaron Bradley who has blogged about Schema.org as the SEO Skeptic. Audit the data that you store about the things that you sell. Do you have the main sales attributes readily available in machine readable form? Make sure you have the size, color, price, previous feedback, awards, etc. easily readable. Review the data type hierarchy currently supported by Schema.org to see where your business fits in and the types of data that you should be collecting. Check your content management and web authoring systems to see if they support microdata or if they are at least planning for it. Microdata is not just a few lines of code that go into the heading of each page. It needs to be written into the HTML at a very detailed level. For some site administrators it will be a nightmare, but for others who have done proper planning and have selected the right tools, it could become an automatic path to greater search exposure. How annoying are banner ads? 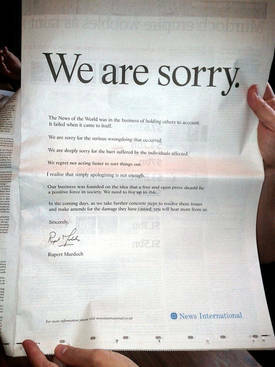 You know, those ubiquitous advertisements that drop down in your face when you open most news sites? The worst are the ones that expand when you scroll over them, forcing you to click on them no matter how hard to try to avoid it. If you hate banner ads as much as we do, you are not alone: most people do not click on them. Solve Media, an advertising consulting company, has discovered how much more likely you are to do even the most statistically unlikely of things than click on one of these intrusive advertisements, Business Insider reports. For example, "you are 31.25 times more likely to win a prize in the Mega Millions than you are to click on a banner ad." Not only that, "you are 87.8 times more likely to apply to Harvard and get in...112.50 times more likely to sign up for and complete NAVY SEAL training...279.64 times more likely to climb Mount Everest...and 475.28 times more likely to survive a plane crash than you are to click on a banner ad." It's unclear how they figured this out, or if the methodology is all that sound, but we're going to hazard a guess that people hate banner ads enough to enjoy the numbers anyway.